We both agreed that we have tried so many other heads but always seem to return to the OConnor and, honestly, it is the most versatile and useful fluid heads - hands down. “That’s Winning” – a series of 30 second spots produced by Abe Froman Productions/The Glenn Group Agency for Table Mountain Casino. 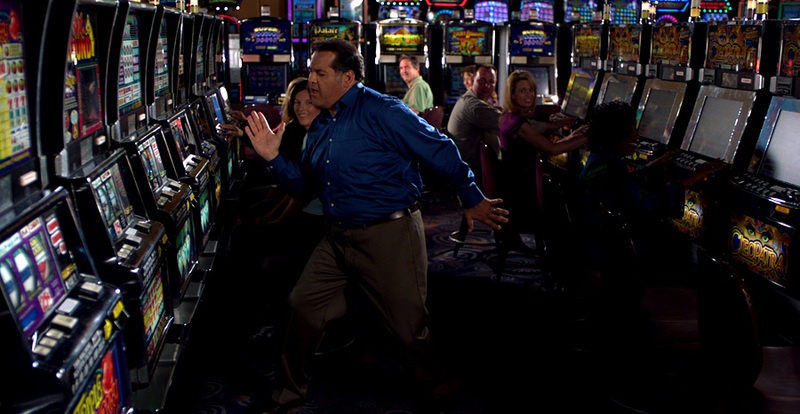 Wholly owned by the Table Mountain Rancheria Band of Indians, this alcohol- and drug- free casino is located 15 minutes from Fresno, California. 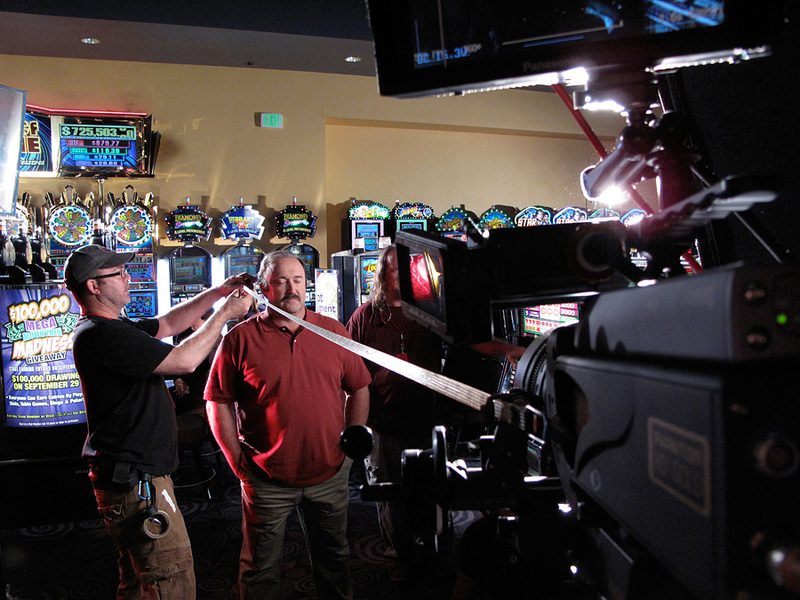 The spots emphasize the excitement of winning – whether it is at their 2000 slot machines, 39 table games, 10 poker tables or their 700-seat bingo hall. 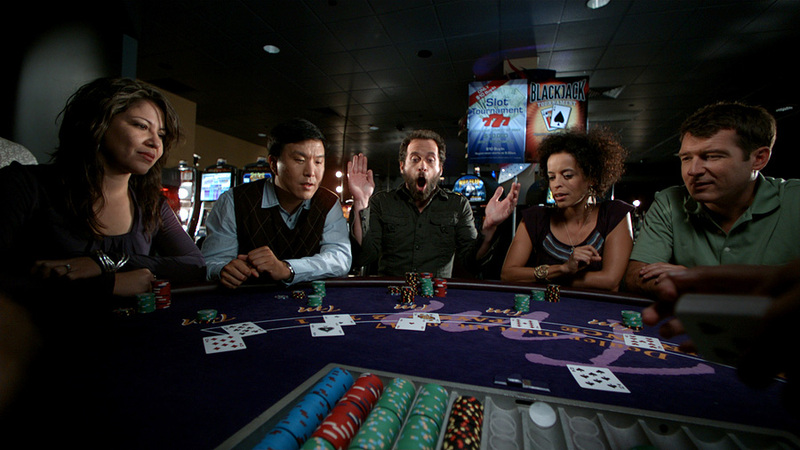 The first set in the series, which featured the gambling experience, garnered two Silver Addy Awards (the advertising community’s highest honor for a commercial production), in 2009. Recently Director of Photography Jim Matlosz along with Director Richard Yelland and team shot another set of spots in which they added imagery of food preparation, the casino’s food court and big concert footage–for a total of 20 rotating spots. 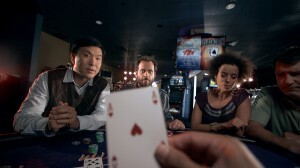 “The concept behind the spots is that moment when someone wins a jackpot or blackjack and the world around crashes into slow motion. Its the moment that, in reality, is only seconds yet seems to last a lifetime. On the set with Director Richard Yelland, what impressed me most was his understanding of great casting and how to get the full range of emotion out of his talent in such a short moment. 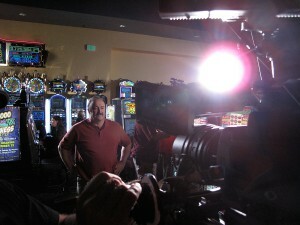 When shooting at 500fps the action we needed was only 2 seconds long in real time, for a 30 second spot. My first introduction to Table Mountain was the beautiful drive out to the casino. I’d brought a smaller, hand-held phantom Miro, portable camera with me to give us an idea of which existing lights would flicker, because high-speed photography can see the dimming of blubs. Table Mountain limited our access, shutting down only a small portion of the main casino for our shots. So, it was important to be able to detail what we could and could not do in that amount of space and time. 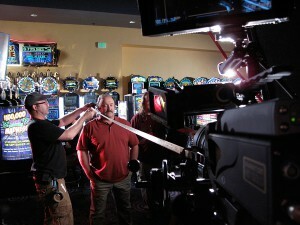 Using the stills we shot on our scout, we were able to layout where we could shoot and what would be accessible. We also had to keep in mind that we had only 12 hours to load in and load out. And, that we couldn’t go too deep inside the Casino or run much wire. Richard went through the creative approach with the agency and it was decided that the Phantom was the right camera for this particular concept. 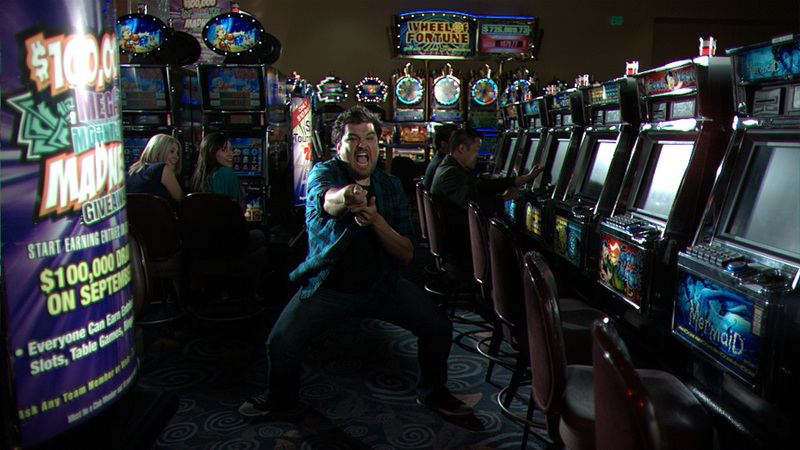 Shooting on location in high speed has its inherent challenges. 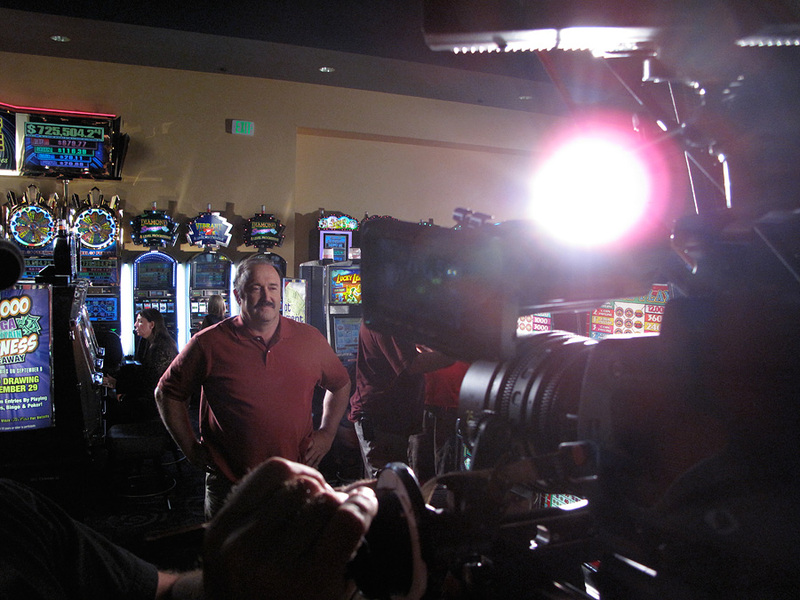 Add to this that a Casino is generally illuminated with very low light; we had our work cut out for us. Basically, we had to recreate the existing light 10-15 stops brighter than what was actually available. While waiting for lighting, talent and our AD at the beginning of the shoot, I was chatting with my first AC. Unconsciously, I was nervously flipping the pan and tilt locks on and off on the OConnor 2575 Ultimate head. This, of course, brought our conversation to the OConnor head itself. 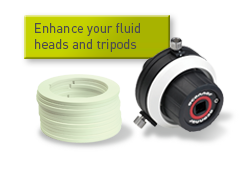 We both agreed that we have tried so many other heads but always seem to return to the OConnor and, honestly, it is the most versatile and useful fluid heads–hands down. For this job, it was a no-brainer. I chose OConnor because I needed to follow and capture the fast movement of our ad lib talent. We often shot the rehearsal and talent was instructed by Richard to “go for it.” Richard really pushed for full emotion on every take and this meant the actors were very free to use the stage we presented to them. The OConnor allowed me to follow them quickly and easily, regardless of where they went. 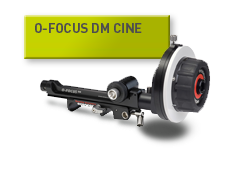 When you use OConnor, once you have the settings, it is very easy to jump on the dolly last second and with the flip of a wrist, unlock pan and tilt without looking–and get the shot. I really love operating but I also get full of energy on set not able to just sit and point and wait. I am on and off the dolly a hundred times an hour and it’s nice to know the head is poised and ready for quick execution. That was a must with the Table Mountain spots. I’ve been using OConnor since I discovered the OConnor 50 in college back east. 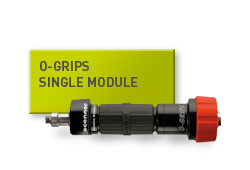 Even back then, it was considered the industry standard. After working with video-type heads, I can confidently state OConnor has a better feel and support for cameras, and the pan and tilt fluid adjustment is superior. 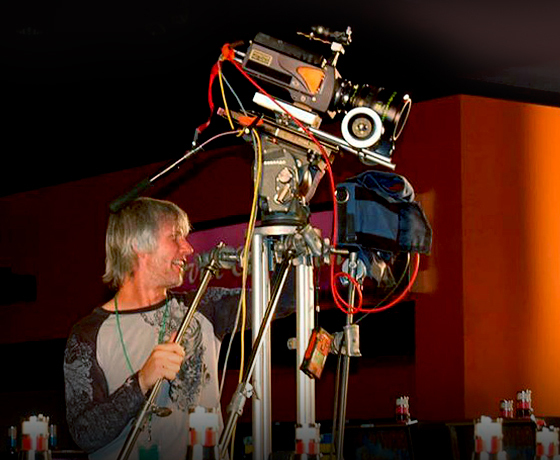 After college I worked for a VFX company, and OConnor 100 was the support of choice for the larger visual effects cameras. The heads were strong, performed well, did the job we needed done, and got every single angle we needed. 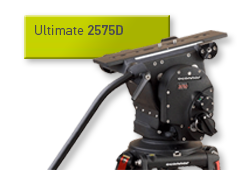 I often used the OConnor 2575 with the Photosonics high-speed camera for the 13 plus years I worked as a Photosonics technician. 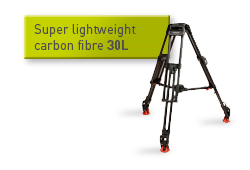 And even though the camera weighed 150 pounds–and this exceeded the weight capacity recommended by Oconnor – there was no problem. I was really excited when the 2575 came out. I was very pleased with the new design, advancements and capabilities. It goes on all my movies, commercials and music videos. 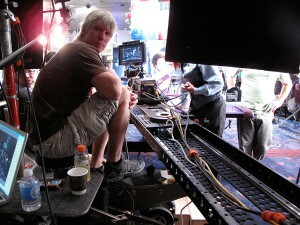 Over the years we have also used it extensively for IMAX shoots as well. It’s traveled to Alaska. I carried it all over Canada for a ski film. And, I’ve had it in Switzerland, India and more. The Ultimate head is amazing. 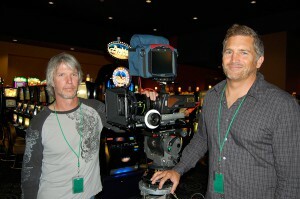 We were in Alaska filming a whale hunt, when I assisted Cinematographer Rodney Taylor ASC for the Imax film, “Alaska”. It was 30 degrees below zero. We were shooting on the frozen Chukchi Sea. We even camped on the frozen ocean, waiting for the Inuit’s to capture the whale. We had plenty of concerns about our equipment – but not our OConnor. We also shot the Alaska tundra, in the middle of summer. It was 100 degrees – and oh, those mosquitos! I had the tripod fully extended on the ground. 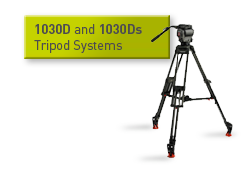 The eight foot tall tripod sunk down to about six inches. 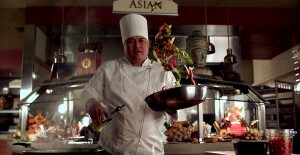 I simply threw the OConnor head on top of it – and we had a high hat! The first time I worked with Rodney Taylor, we wanted to get a close up shot of beavers in a pond off the side of the road. We literally set up the tripod under water. I had the OConnor head on top – mounted the camera – and did the shots. When we were wrapping everything out, I went to unscrew the head and, in a second, the nut fell into the water. I think my reflexes really caught Rodney’s attention. Without a blink, I reached into the water and pulled out the tie down nut and we were off. I think at that point Rodney was impressed, I still recall the look on his face. Jim Matlosz is a cinematographer, camera operator and writer, who makes his living shooting commercials, documentaries, features and writing articles for trade magazines. He is well-known for his high speed cinematography and he also does VFX, stop motion and live action work. He began his career, or life, in the cornfields and fishing ponds of New Jersey. He learned the foundation of hard work dedication and responsibility from his hard working parents. Although an outdoor enthusiast, Jim watched a fair amount of TV, in fact he can still recite many commercials and is nostalgic for hit shows of the 70's like “The Brady Bunch”. Jim’s love affair with photography was discovered in his first photography class in college, as Jim states "It was like getting a shot of heroin to the temple I was immediately addicted." After that Jim was completely dedicated to his artistic path, eventually expanding to the motion image. He began his career in VFX for movies, quickly migrated to commercials, making pit stops in Imax, documentaries and live action features.